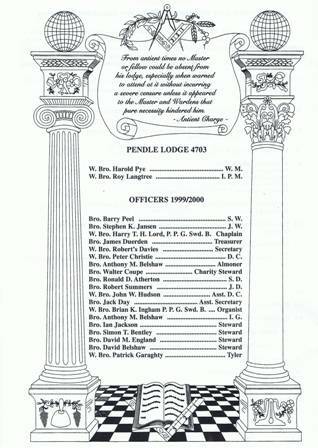 The minutes of Novembers meeting and the summons for Decembers Christmas Lodge meeting are now available to download from the members page. Click on the logo to the left of the comment and the document will open on a separate page. The documents can be printed off if you wish. Thanks to John Hudson our long serving secretary for providing this service.